HIIT workouts for women have been getting lots of publicity of the last few years – and with that comes a lot of controversy and confusion – especially with the widespread popularity of Crossfit, P90x,Tabata, Boot Camps and other HIIT styled fitness programs. The fact that you’re reading this indicates you’re a smart woman. A woman of above average intelligence – and because of that – this article will make a lot of sense to you. The average woman values every minute of her day – and must be mindful in how she chooses to spend her time. What she invests her time in MUST give her something valuable back in return. If something is unpleasant and uncomfortable – then you dread doing it. You don’t want to do it. You avoid it at all costs. Right? This sets the stage for quitting your fitness program. And putting yourself back at square one; which is ‘still looking for your solution’ to lifelong health and fitness. This is one of the key elements of all the controversy that surrounds HIIT based exercise programs. It goes with the territory. Simple. When a woman is injured, not only does it severely impact her daily existence – but injury can be a trigger that leads to depression. The risk of injury and its implications are not worth it. However – the average, middle-aged woman has VERY SPECIFIC improvements in mind. She has defined changes she needs to see and wants to achieve. Every wise woman also wants the internal benefits as well – ranging from optimal health profile to enhanced libido to high self-esteem. And as you can see those are “specific” enhancements, as opposed to just general fitness improvements. Two VERY different things. 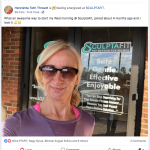 When those specific results are being experienced, and injury & unpleasantness are not part of the equation – she naturally wants to stick with this healthy lifestyle habit that is allowing her to be the woman she truly wants to be. Anything grueling and ‘torturous’ is something humans naturally want to avoid. What more is there to explain? Yeah, I know there’s a certain percentage of the population that “loves that type of approach”… But you are not one of them (and neither are we). That reason touches on the mental aspect. Yes – HIIT and its variations are also psychological enemies of ours. Because if you don’t enjoy it and can’t stick with it for life – then it’s obviously not going to work for you. 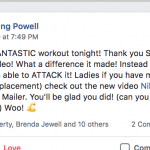 They agree – simply because they’ve tried a HIIT based program, or they’ve heard enough about it to want to avoid it – and find “another way” to achieve and maintain optimal wellness and fitness. LIIT is essentially the opposite of HIIT, and it’s the foundation of The SCULPTAFIT Method. LIIT takes into account all the things women don’t like about exercise & working-out and renders those elements non-factors – by replacing them with principles that stimulate desired improvements with less strain, less pain, less self-punishment and less time. You can seek out endless research studies and expert opinions – but at the end of the day the only thing that matters is whether or not your choice of fitness method is something you enjoy doing and want to do it for life. That’s what brings the results – and allows you to keep them for good. THIS is the key to vibrant longevity… Living With Strength. If that article resonates with you, then stay tuned because you’re going to see LOTS more like it on this blog… Yep – we’re going to be busting myths, exposing the fallacies and shining the light on all the “not so good” areas of the fitness industry… For the simple reason that YOU, and the other women just like you, deserve to know. You deserve to know what others aren’t willing (or able) to write about. And also consider, you might be a perfect fit in the SCULPTAFIT community. So, please get in touch as we’d love to help you reach your best self, both inside and out. Thanks for reading – and PLEASE DO share this article with any other local women you know who will benefit from reading it.